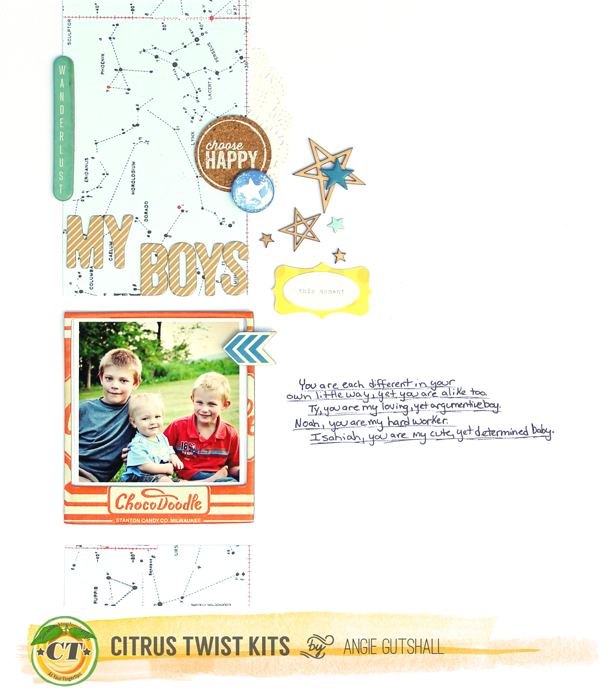 June's Citrus Twist Kit is so full of amazing things, I'm speechless lol!!! 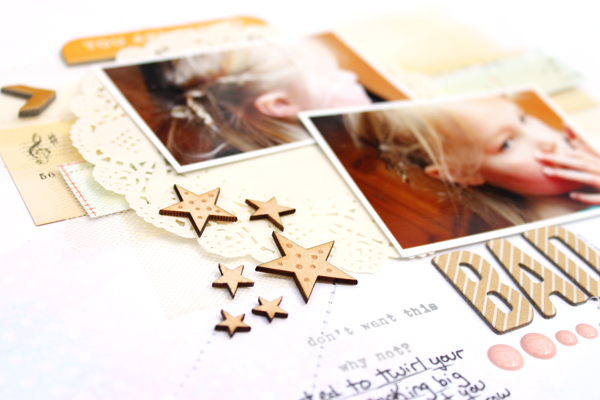 Seriously, this kit is jam packed with the coolest little "extras" this month! I will start by saying you NEED this kit, from the exclusive wood veneers to the adorable vintage accents this kit has it ALL! Oh did I mention the thickers this month are my all time favorite!! Ok so what did I create this month? 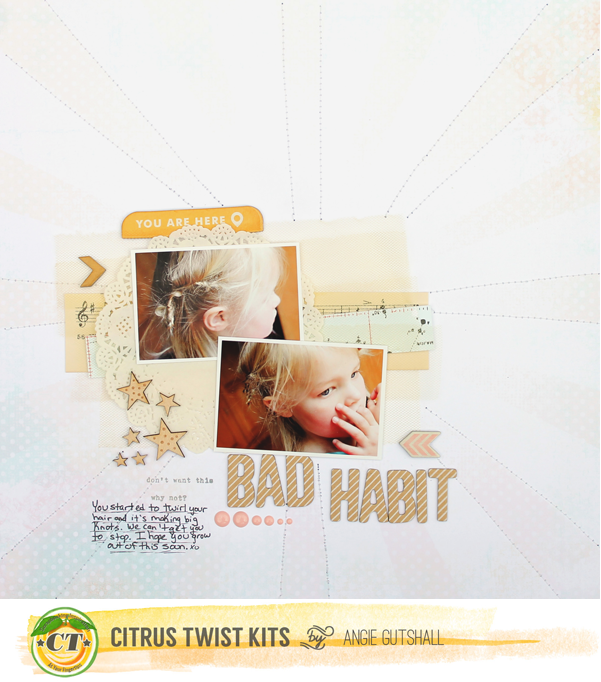 I created so far 3 layouts and still have plenty to do several more! I worked with the Main, Embelli, and Paper add on kits. Here are 2 of the layouts, I'll share the third later this weekend. This layout is one of my favorite. I stitched the rays on the layout and I layered the fun, yellow tulle under the picture. 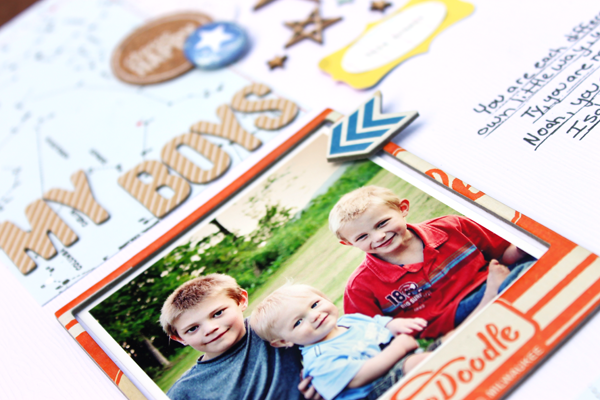 Here is another cute layout I created about my boys! I love my boys and can't get enough of them! Thanks for stopping by!! Have a wonderful weekend! Great pages Angie! I love to see what you do with the kits each month!